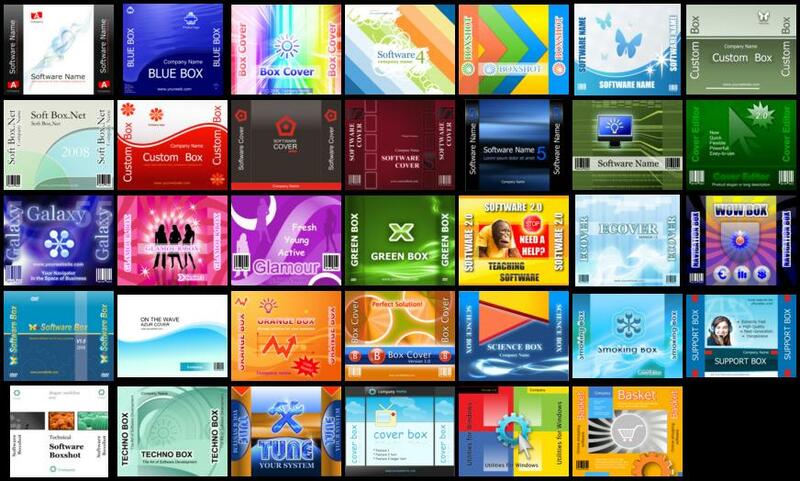 Create 3D box shots, DVD Cases, Member Cards, CD and book covers in a single program! No matter what product you make and sell: software, e-books, music, movies, video or audio records, books, or even corn flakes. The TBS Cover Editor is a unique tool that will help you create any virtual cover image for your product presentation. Adding a photorealistic cover image to your website, banner, article, or print ad will attract more attention to your product and will bring more customers and sales to your business. 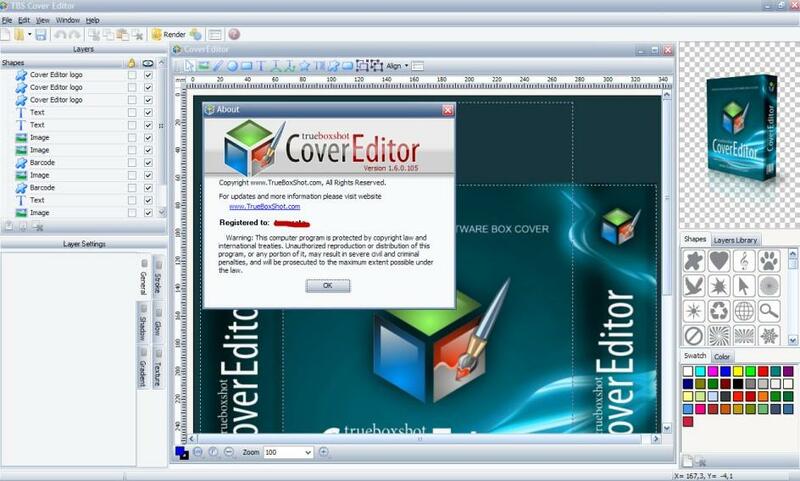 Save yourself money: no extra designers or tools are require With the TBS Cover Editor no additional expensive third party tools are required. The program supports all the steps of box shot and cover creation: from drafting and design, to 3D scene setting and image rendering. The TBS Cover Editor has a rich toolkit for graphics creation and processing, including simple shapes, text labels, bitmap images, artistic texts and vector objects. You can quickly create a nice looking box cover by combining special effects that were previously only available in high-priced professional image processing programs. The TBS Cover Editor comes with a large clipart library of common shapes and signs. You can create professional-quality 3D box shots, CD, DVD or book covers with no extra expense in a single program. 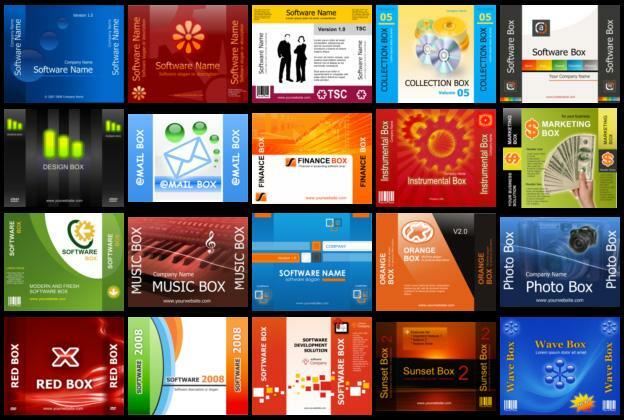 Get instant results: quick start, easy work, and immediate output The TBS Cover Editor comes with a brilliant collection of software cover design templates for various types of software, e-books, movies, and other products. The Design Wizard helps you to get started quickly. You can make a cover in less than two minutes. Choose a template and just add your product info such as product name, company, and web site URL to create a custom cover design. 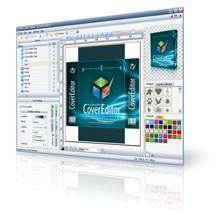 You can easily tweak the templates or create new cover templates with your corporate identity style. In two clicks you can set up a 3D scene and render your box shot image. Professional output: create realistic looking box shots and covers without designer skills The TBS Cover Editor has a powerful rendering engine that produces realistic 3D box shots, CD, DVD, or book covers by applying original 3D rendering and ray casting algorithms. The advanced mechanisms of the TBS Cover Editor produce 3D images with high precision which leaves no chance for fuzzy edges, making images look clean and nice (beautifully clear). Your design and image processing skills don't matter when creating eye-catching box shots and covers for your products with the TBS Cover Editor. 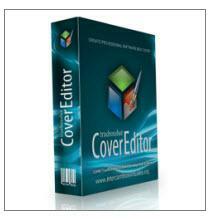 Your every cover will look as if it is made by a studio. 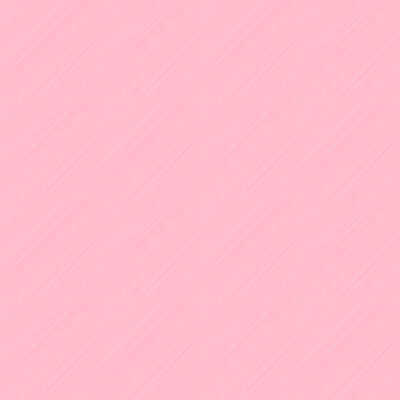 Not: Kendi Uploadımdır ..Ayrıca iki paket de templates seçeneği var programdan sonra onları da kullanabilirsiniz... Crack içindedir.